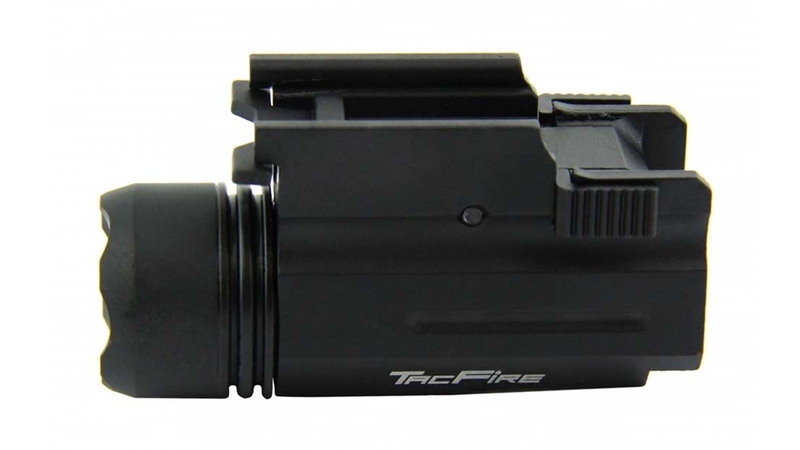 TacFire Official Product, superior quality 180 lumen flashlight is constructed of durable & lightweight T6 6061 Aircraft grade aluminum body, made to withstand heavy recoil. It features a Crisp white bright Cree LED light bulb and it operates with a sliding on/off switch. 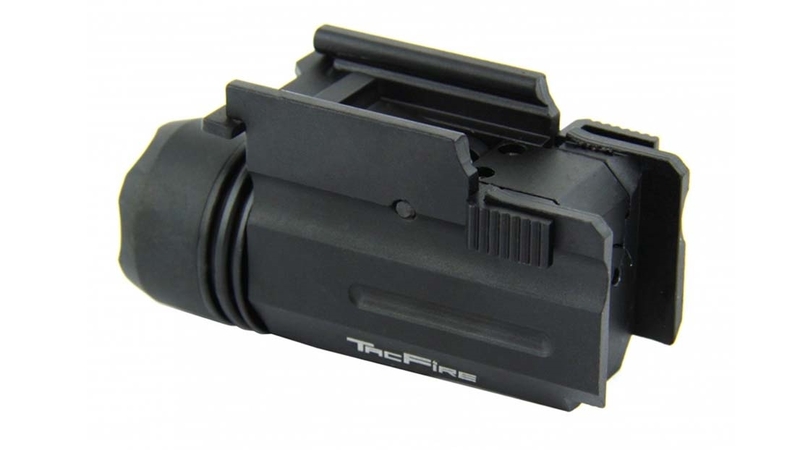 It can be mounted onto most full size pistol frames & also suitable for rifles & shotguns that include a Picatinny / Weaver accessory rail to attach it to. 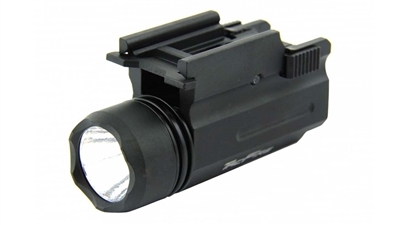 This tactical light is great to aid in low light target settings & can also be used as a method of non-lethal force to temporarily to blind & disorient your target. Rail Mounted 180 Lumen Flashlight for Rifles / Pistols and Shotguns. Mounts with no tools needed. 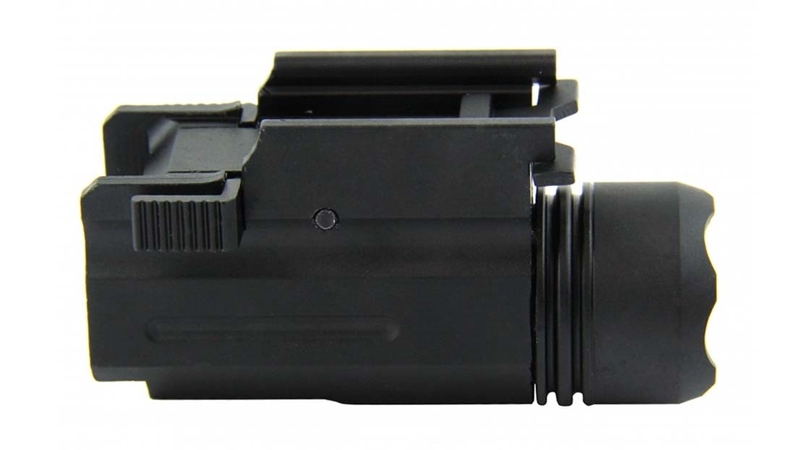 Can You Shoot in the Dark?